Businesses now have good and compelling reasons to take back control of their employee communication. Such control allows businesses to truly own voice-based relationships. They can manage growth opportunities, projecting greater competence to their market. They can provision fresh staff and office locations more quickly and efficiently. Taking back control of office voice communication also addresses some risk factors associated with mobile cellular phones. For one thing, business owners have to protect their ownership of the customer relationship, not merely own it. While technology has truly transformed the way business gets done, few technologies have advanced to offer business value as desktop communication technology. The market’s solution to business’ critical need to own customer relationships is Voice over Internet Protocol (VoIP) phone systems. 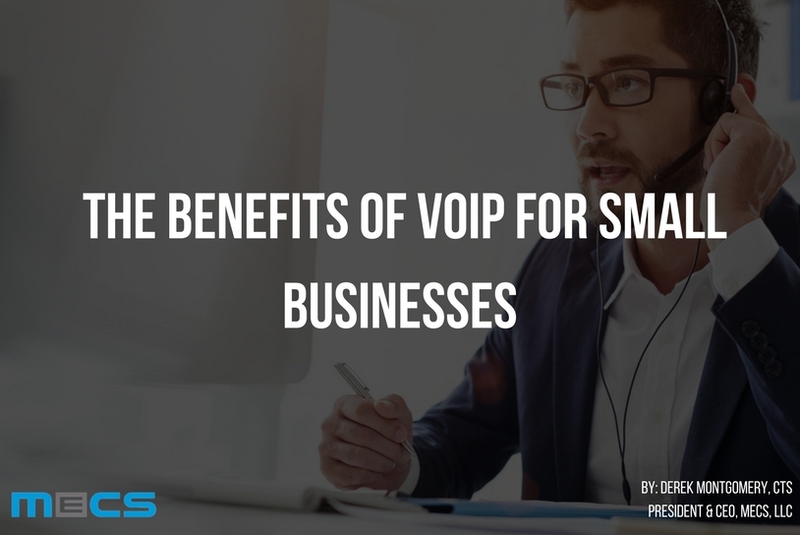 VoIP solutions use the internet to carry voice traffic, which often helps businesses stop paying for POTS analog service. VoIP relies on computer systems to deliver service, so it offers management tools for providing or restricting features such as long-distance service at each phone. And because the phone uses the office internet connection, it can reduce the number of wires in the office and on the desk, simplifying installation and support costs when the office relocates or expands. Early adopters of office VoIP suffered through some sound quality and bandwidth issues. Some even discovered their system was recording phone calls by default, against corporate policy and at some risk to the confidential nature of their work. Now is a good time to re-visit your office communication tools and strategy. VoIP technology has matured to the point of guaranteed voice quality combined with amazing IS/IT functionality. Customers now expect businesses to know them when they call—their history, and their preferences. This makes the phone, not the receptionist, the frontline on the battle for superior customer service. A solid VoIP system can help businesses provide the extra touch of personal attention to detail that customers highly prize. For example, available integration with major CRM solutions mean that sales team can get more than just Caller ID, they get customer information on their screen as the phone is ringing. Sophisticated, and readily available web applications will present the online form submission from online visitors when they opt to speak to a sales associate. VoIP business solutions offer substantial opportunities for business development. New cloud-based technology allows business to pay only for what they use with the assurance that their business communication will always be working and available to employees wherever they are on Earth. VoIP phones allow traveling sales force to take their desk phone with them to any place on Earth with an internet connection. Employees on long-term assignment away from their desk can communicate as though they were in the home office, accepting call transfers, receiving calls and voice mail indication. And in fact, their desk phone can even be duplicated on their laptop or tablet for a truly manageable, mobile voice communication platform. Those business opportunities (and more) from advanced VoIP solutions don’t just happen, just as a college education does not produce a paycheck. The advantages of a business VoIP system come from careful planning and execution. There are major considerations to address. The available company bandwidth and network components are carefully reviewed to ensure good voice quality and data integrity. The increased demand on network routers will quickly overload cheap routers purchased from the local consumer goods retail store. MECS trains its team to help owners and managers improve their business’ potential with professional-grade communication VoIP solutions. And if they act now, qualified businesses can save thousands of dollars with free Mitel high-quality VoIP phones for every desk in the office. A trusted business technology service provider since 2004, MECS is the partner Mitel trusts to deliver and support its brand of VoIP business solutions. Mitel is the best VoIP provider in the world. Recognized as the value leader, the company is the largest cloud provider of VoIP services in the world with more than twice the number of seats as its nearest competitor. In addition to its leading market position, Mitel manufactures its phones and network hardware, cutting out the middleman for more than 40 years. The result: reliable performance and exceptional value. MECS engineers and technicians work with your IT department to ensure the best performance and reliability. In fact, because MECS partners with Mitel VoIP products, the company offers industry-leading Service Level Agreements (SLA) that include the highest Voice Quality of Service (QoS) standards. We understand that all successful partnerships are built on trust, which is why we’ve made it the backbone of who we are. As a technology integrator and managed service provider, we help organizations leverage technology to grow and meet their objectives. Act quickly! Sign up for a free evaluation to qualify for Mitel’s limited-time offer of free quality desk phones for every desk in the office.